IM NEW TO THIS SITE AND THOUGHT ID LET YOU KNOW WHAT I HAVE BEEN UP TO AND WHAT IM DOING. A QUICK EXPLENATION ABOUT HOW IT STARTED. 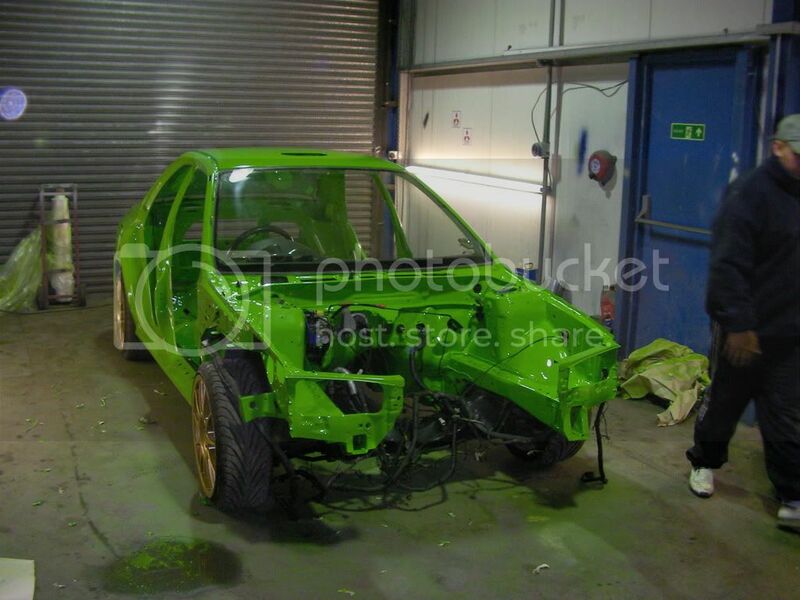 I OWN A BODYSHOP IN SKEGNESS WITH MY FREIND AND WE BOTH HAVE A VERY GOOD KNOWLEDGE OF MODIFIEING AND TUNING. 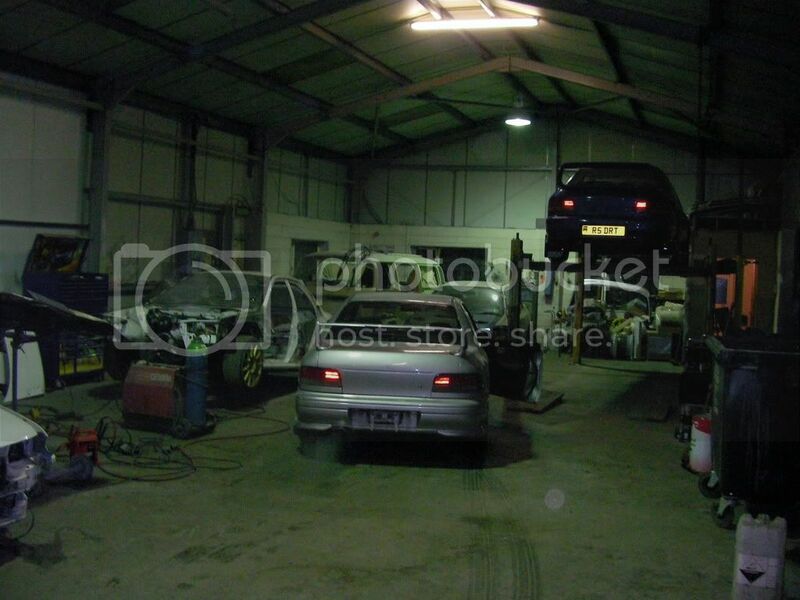 WEVE BOTH HAD EVOS AND MANY SUBARU`S. 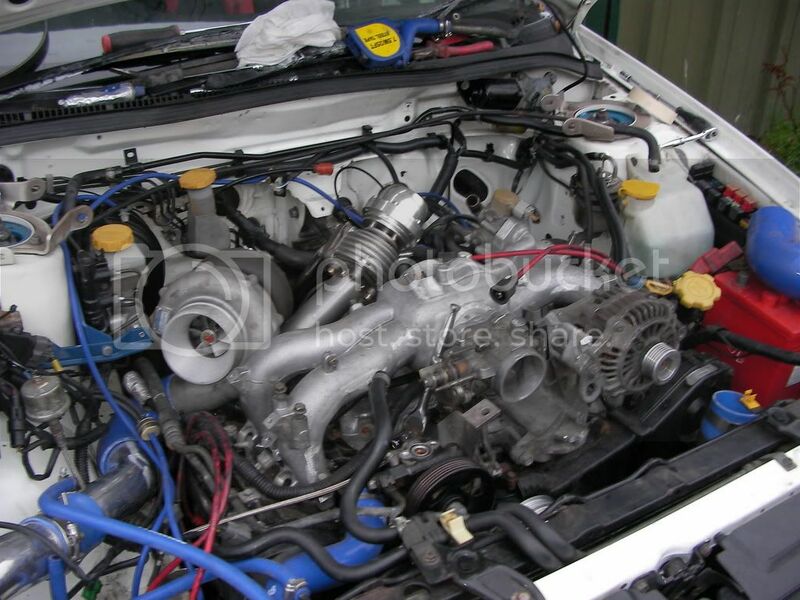 BECAUSE OF THIS WE THEN STARTED TUNING LOCAL SUBARUS FOR CUSTOMERS. THIS IS KNOW OUR SECOND BUISNESS. 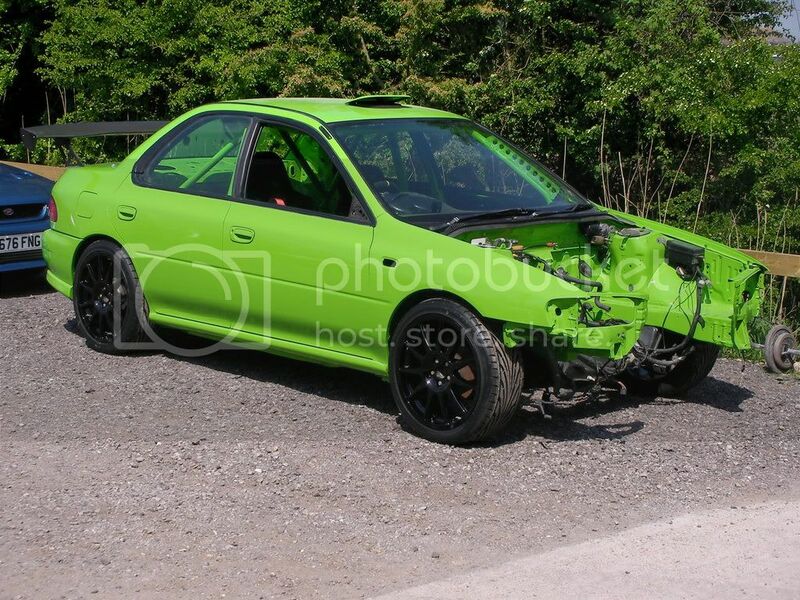 THE BODYSHOP IS DOING VERY WELL BUT WE LOVE TO WORK ON IMPREZAS AND FOCUS ALOT OF TIME ON THEM KNOW. 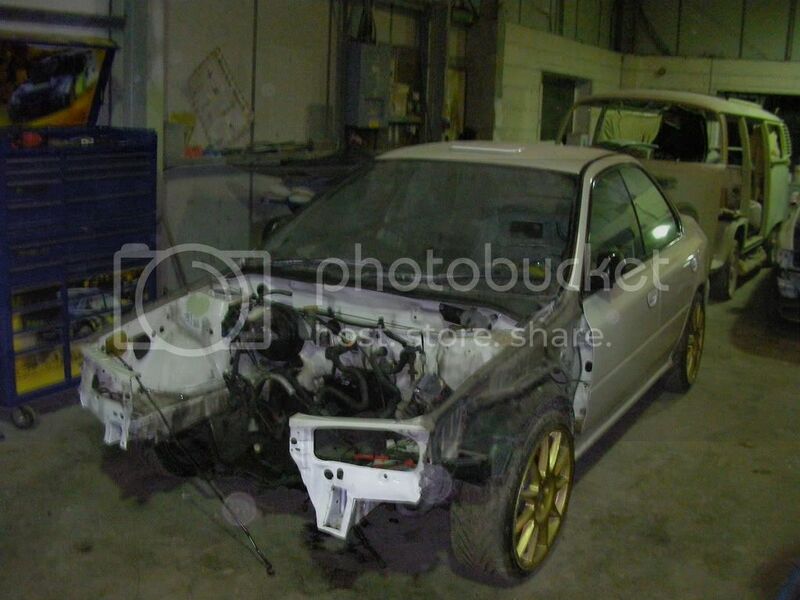 THE PROBLEM WE CAME ACROS IS THAT EVERYONE WANTED A FAST IMPREZA BUT DIDNT HAVE THE MONEY TO GO TO THE BIG NAME TUNERS AND USE ALL THE BEST PARTS YOU CAN GET. 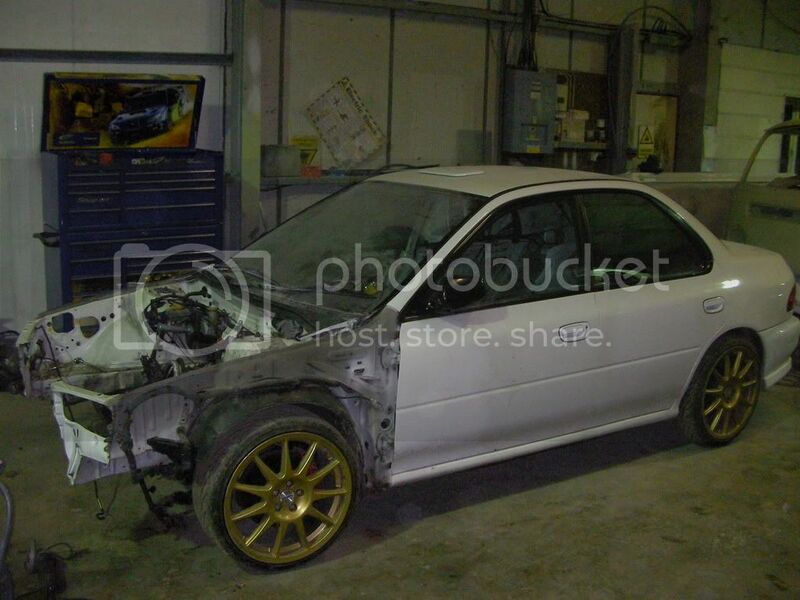 SO I DECIDED TO MAKE AN IMPREZA 500+BHP AND LESS THAN A TON ON A BUDGET. TO SEE WHAT CAN BE DONE FOR THE MONEY. 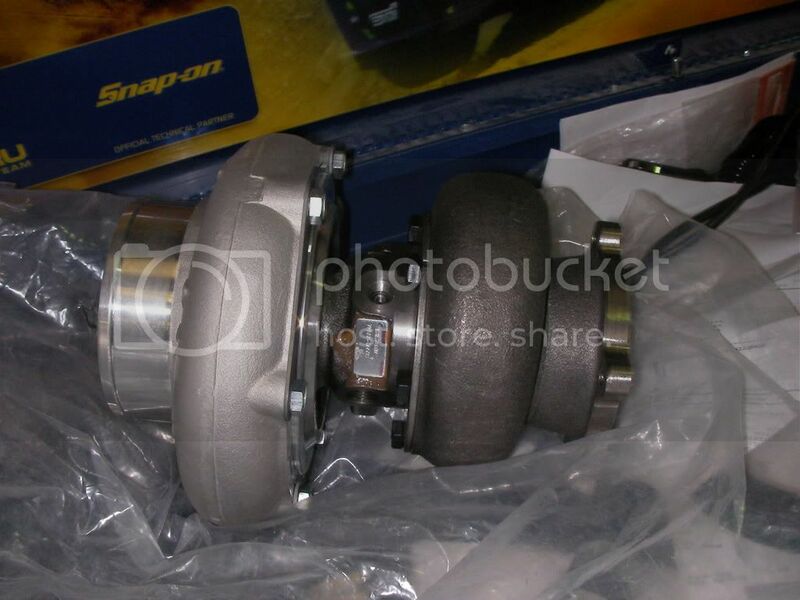 TO BE HONEST ALOT OF MY TIME WAS SPEN SHOPING ON EBAY TO GET GOOD PARTS AT LOW PRICES. AND SHOPING ALL AROUND THE WORLD. ANYWAY. 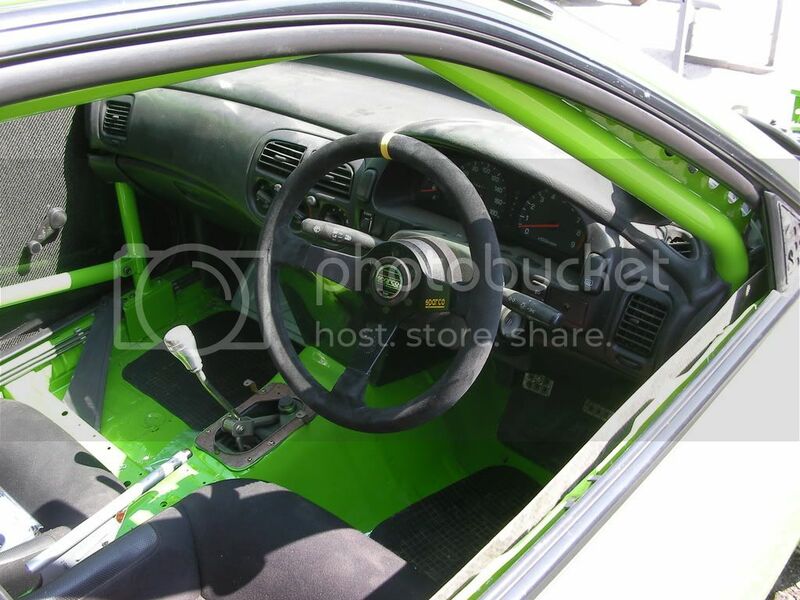 MY CAR. 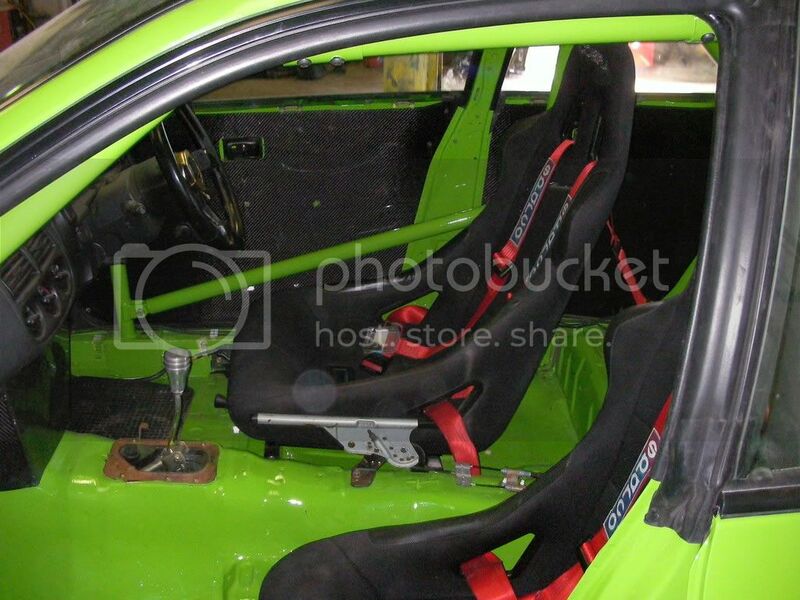 I BOUGHT AN STI RA VERSION 4 WICH IS THE BEST OPTION IF I WANTED TO LOSE ALOT OF WAIGHT OUT OF IT. 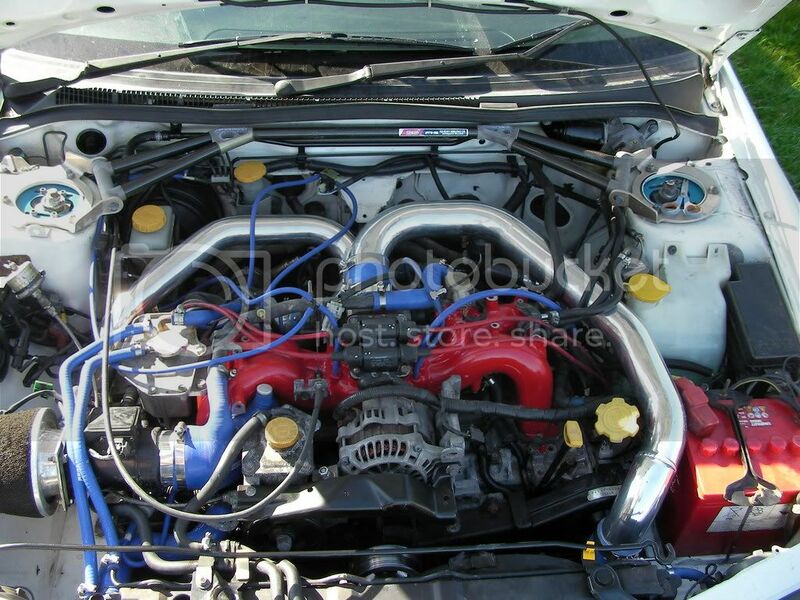 BUT THEN THIS CAUSED PROBLEMS WITH MASSES OF LAG SO RETHOUGHT THE IDEA OVER XMAS AND AFTER TALKING TO A FEW CRAZY AMERICANS I DECIDED THAT THE ONLY WAY I WAS GOING TO RUN A BIG TURBO ON A 2L WAS TO PUT THE TURBO IN THE FRONT BUMPER TO SHORTEN THE ROUTE. THE RESON I WANT TO STAY WITH A 2L IS BECAUSE THE CLOSED DECK BLOCK ISNT THAT COSTLY TO GET HOLD OF. 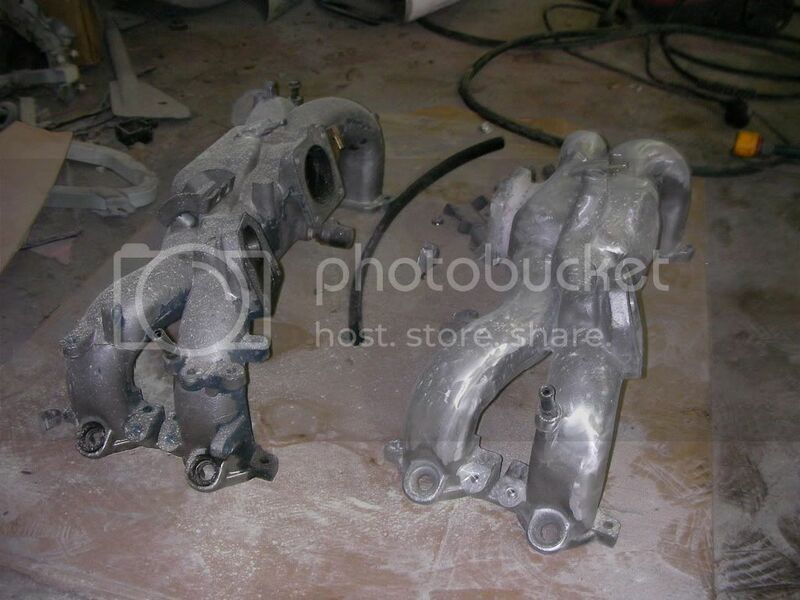 A 2.5 WILL SPLIT LINERS AT 500/500 AND A 2.35 IS ALOT OF CASH. AND THATS NOT WHAT THIS PROJECTS ABOUT. ECU IS A POSUM BOURNE LINK.. THIS WILL RUN A CONSTANT MILD ANTI LAG. IN WHICH YOU OPEN THE THROTTLE BODY WITH THE ADJUSTER SREW TO .10 OPEN, THEN RETARD THE SPARK AND YOU HAVE MILD ANTI LAG. 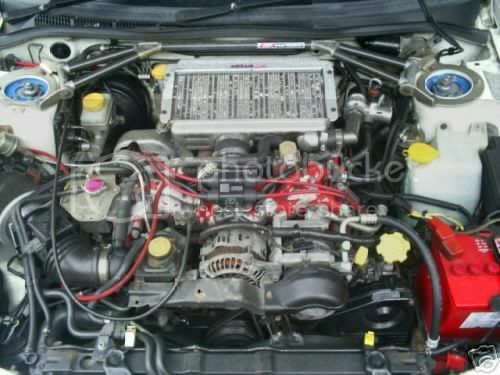 GEARBOX IS 6 SPEED AND A CUSCO TWIN PLATE CLUTCH. BOTH I STILL NEED TO GET YET. MOKED IT ALL UP TO MY OLD BOX. 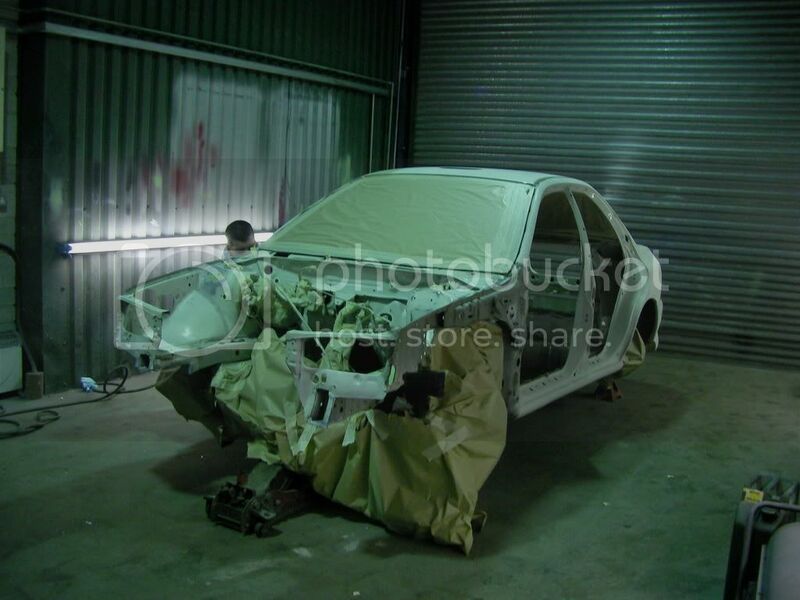 I HAVE NEARLY FINISHED THE ENGINE BUILD SO IT WAS TIME TO START THE SHELL. 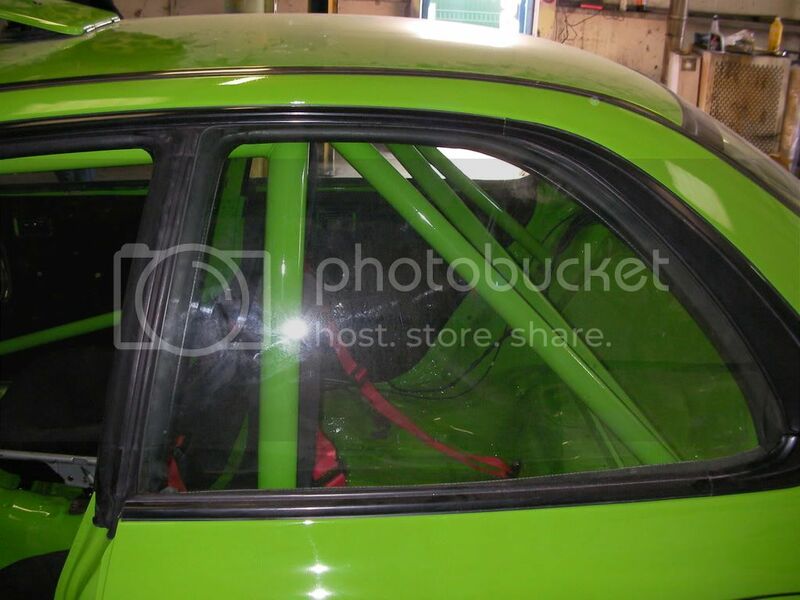 STRIPING THE WAIGHT OUT AND GETTING IT READY FOR THE CAGE AND TWO BUCKET SEATS. I HAVE REMOVED THE FRONT CHASSI MEMBER TO ALLOW FOR THE TURBO I HAVE ALSO REMOVED 3.3" OUT OF THE DEPTH OF THE LEG. I STRENGTHEND IT ALL AND THEN BOXED THE LEG BACK UP. NOW TIME FOR PAINT PREPERATION. 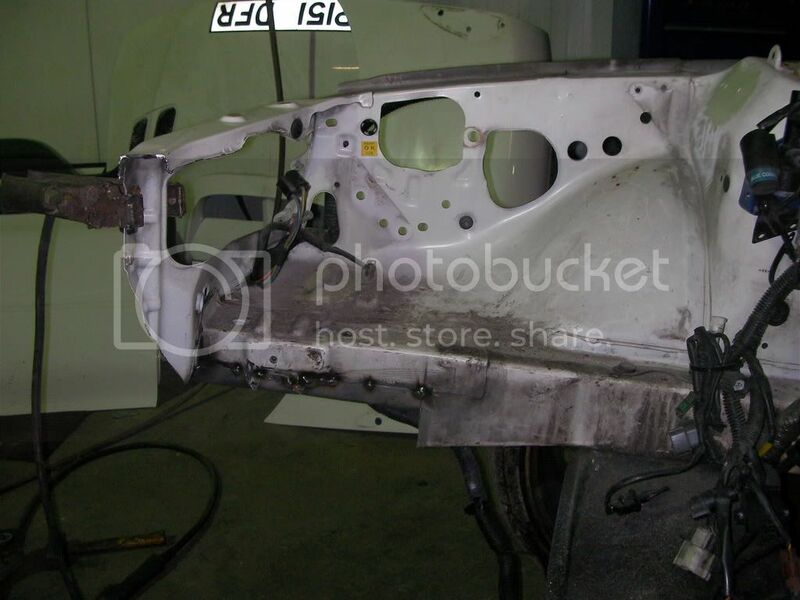 WHILST I WAS DOING THIS I HAD MY MATE THE AUTO ELECTRIAN REMOVE ALL THE WIREING I DIDNT NEED. Wow thats a lot of metal out the front !!!! How much do you charge for a repray btw ?? 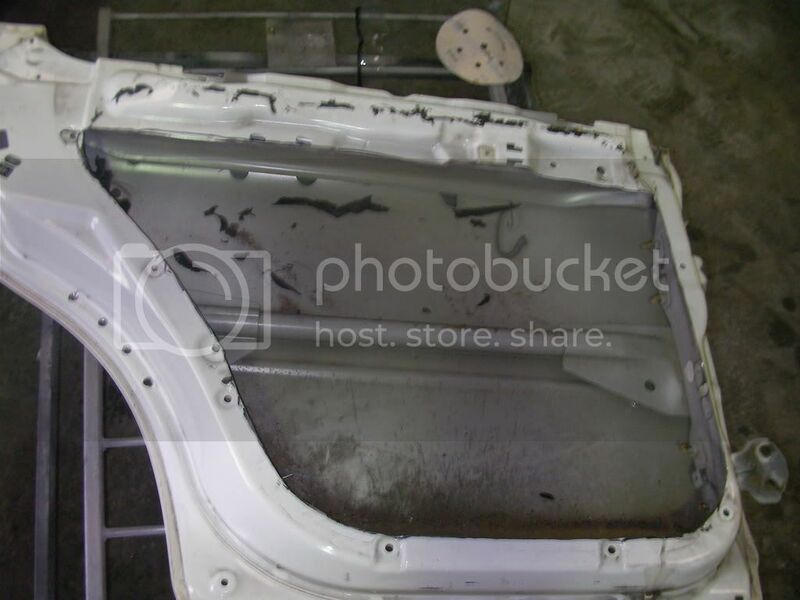 REMOVING ALL THE SOUND DEADING WAS A NASTY JOB BUT WELL WORTH DOING. THEN IT WAS INTO THE BOOTH FOR PRIMING AND PAINTING. THE COLOUR. WELL IM NOT ONE FOR BEING THE SAME I LIKE TO BE DIFFERNT. AND ONCE SEEN NEVER FORGOTEN. SO WHAT DO YOU THINK SO FAR. 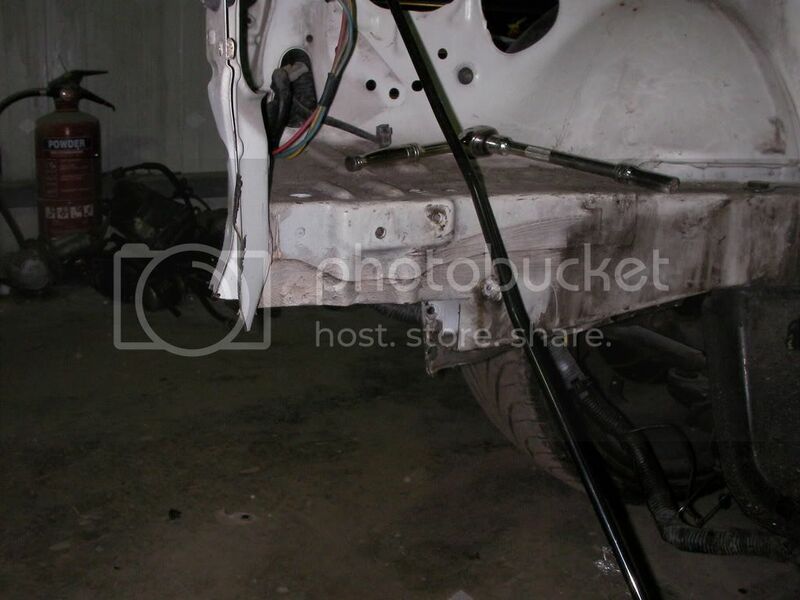 THE ONLY THING THAT IM STRUGLING WITH IS A MANUAL STEERING RACK. 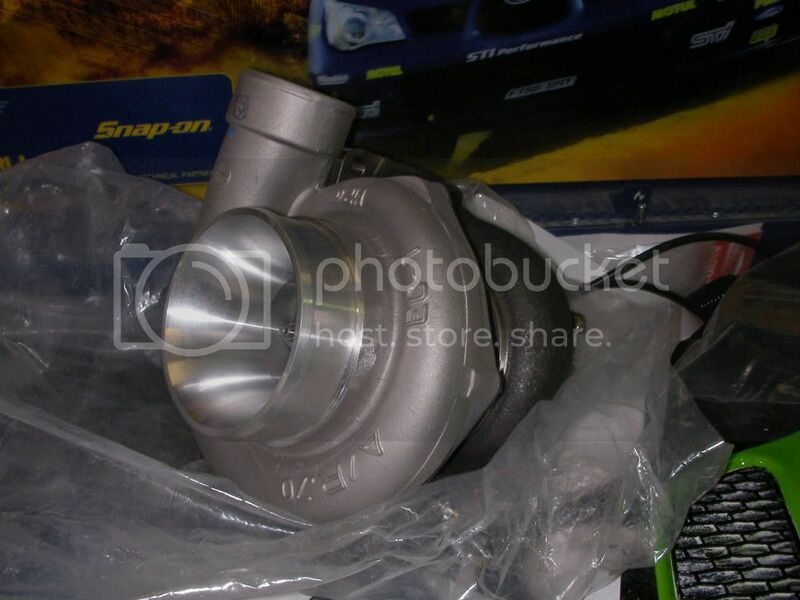 I WOULD LIKE TO GET ONE FROM ANOTHER STANDARD SUBARU BUT DONT KNOW WHAT MODEL FITS. THE ONLY OTHER THING I CAN DO IS USE AN ELECTRIC PUMP. 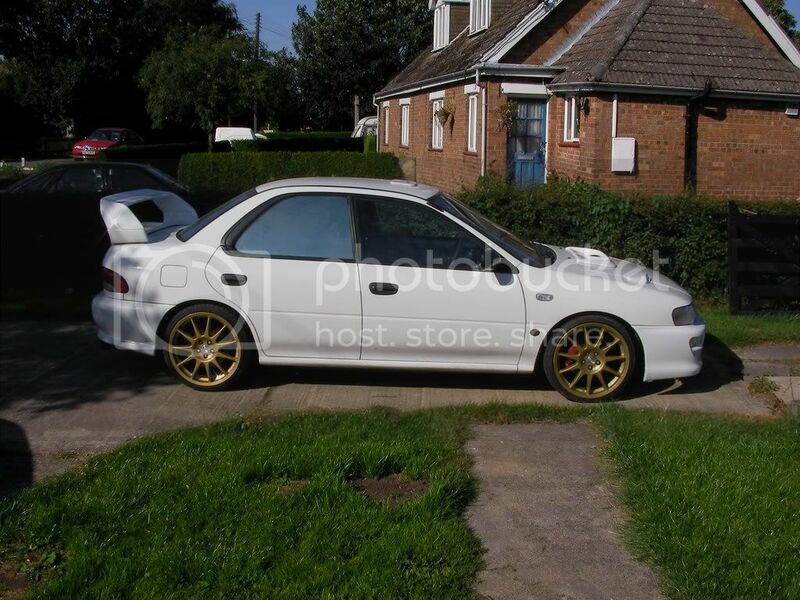 HELLO BUD USEUALY I WOULD DO AN EXTERNAL PAINT FOR AROUND £1200 BUT FRONT END I.E BONNET BUMPER WINGS AROUND £450 MATE DEPENDING ON WHAT WANTS DOING. 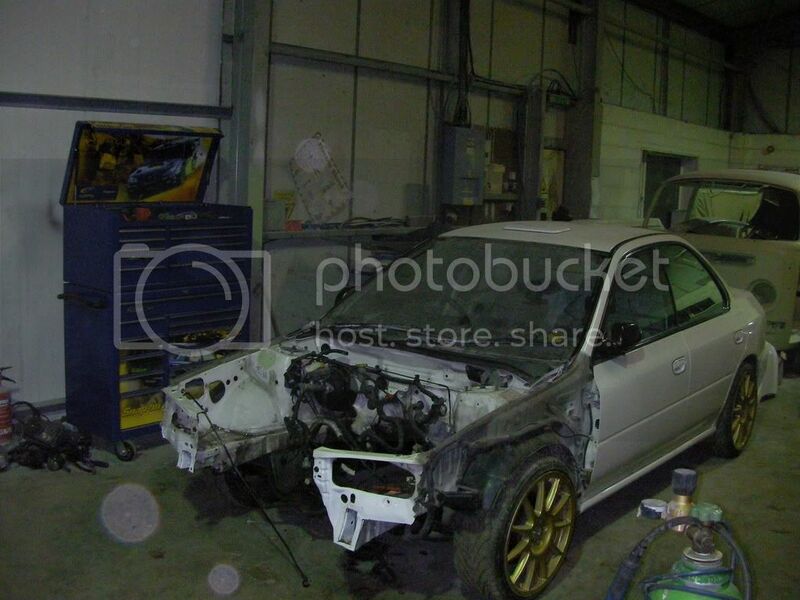 Car is dark blue mettalic 2002 bugeye but i am doing a blob eye conversion to it !!!! or a complete blow over in black ?? 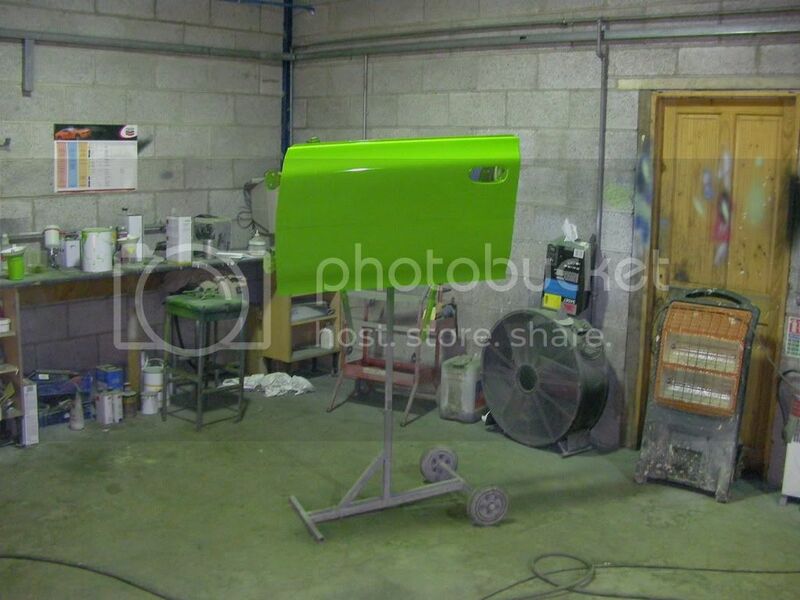 i like the idea of going to black as with the car being dark met already should make it easier for the sprayer ??? 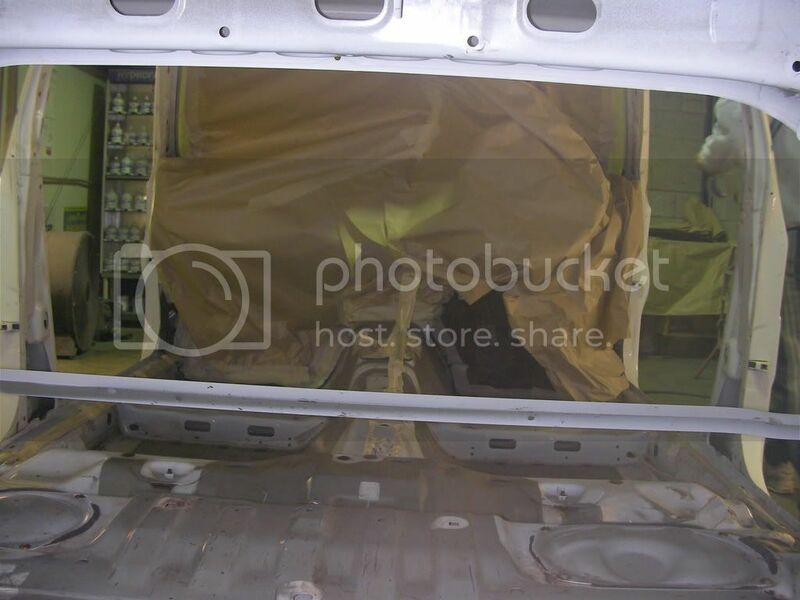 to be honest make to change the colour of the car isnt realy a good thing to do as every bit you see when you open the doors in the boot under the bonnet ex. 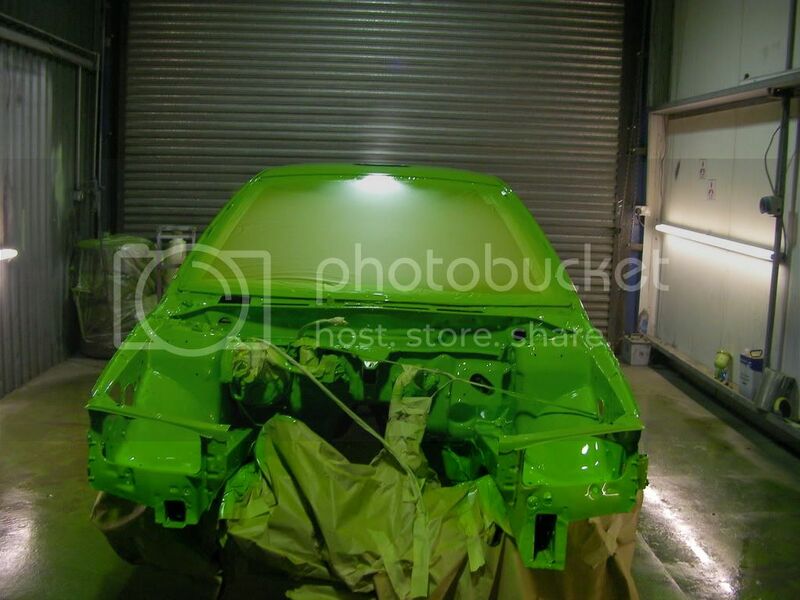 but if you just wanted the inside the doors under the bonnet but not he engine bay then your looking around 1700.
the blob eye coversion is a good idea i painted one a lad has done himself recently and makes it look alot better. i would keep it the same colour and do the coversion. 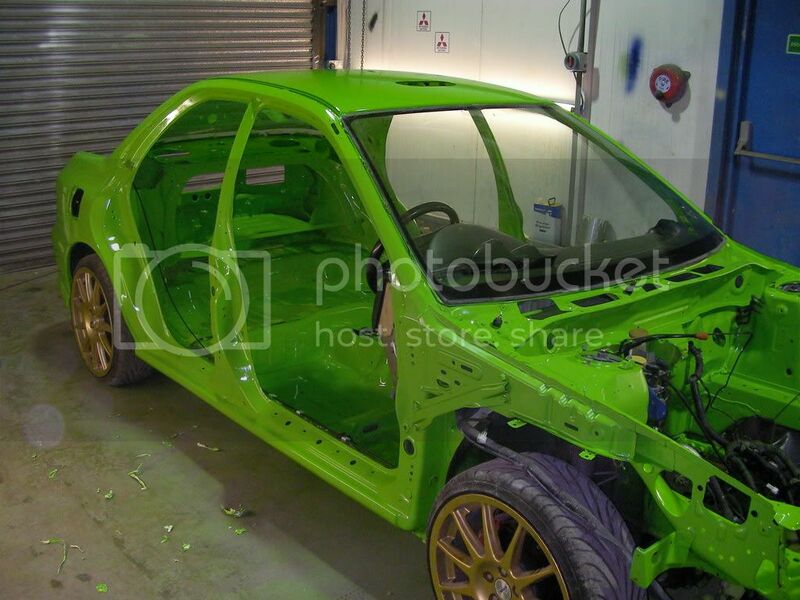 its just alot of money to colour change a car. 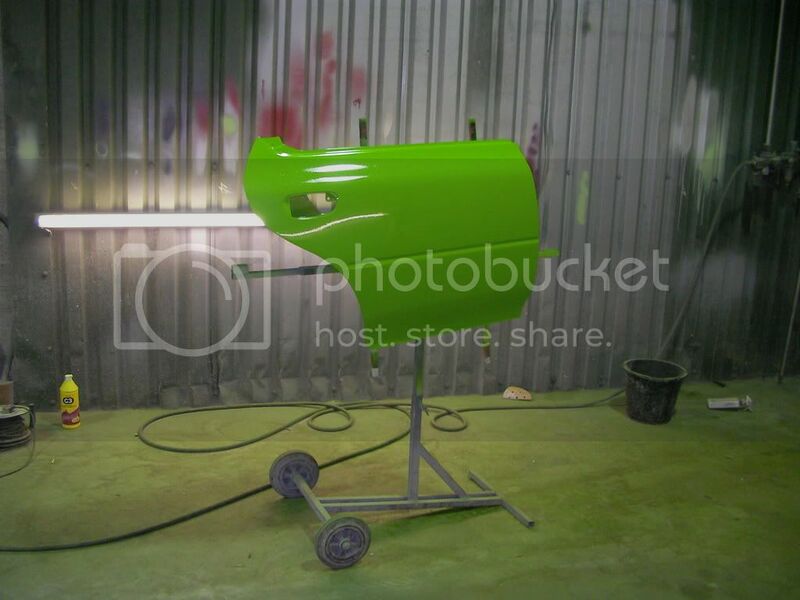 So to spray the bits up in the original colour im looking at 450 ish ?? How much does it cost to add a metal flake top coat just to add a little sparkle if you know what i mean ??? 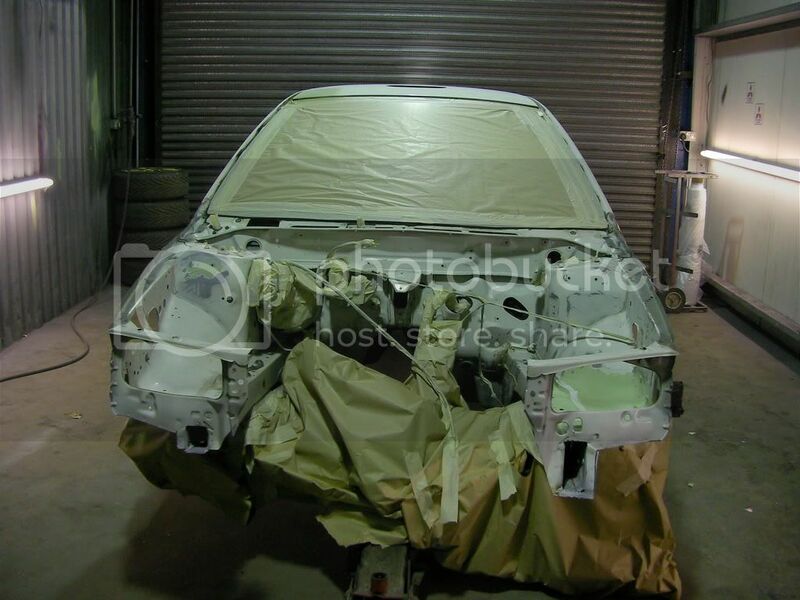 thats around 2500 for the flake. 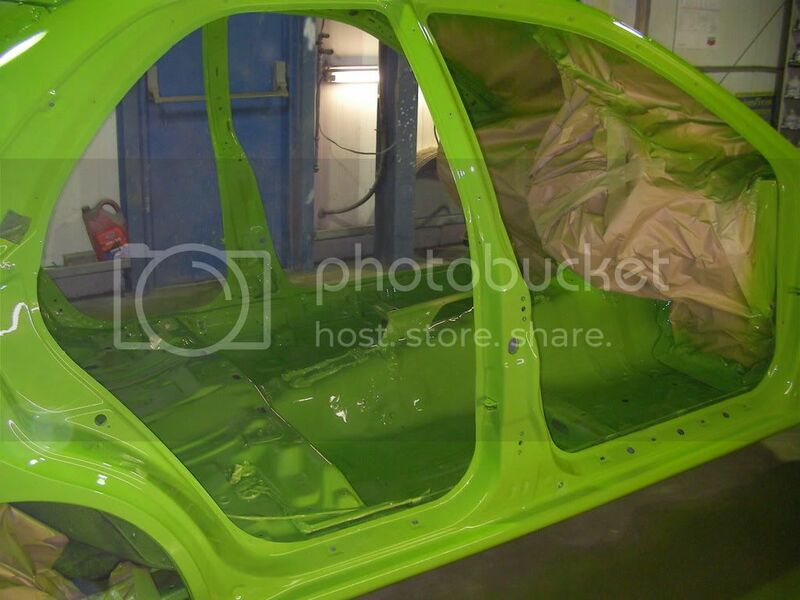 as it takes around 7 times the amount of laquer to cover them. this isnt advisble because when thay were first released thay were made by rage paints but know thay have stopped makeing them and are only bad coppys around which just make it look like a lot off little dots unless there is bright sunlight on it. 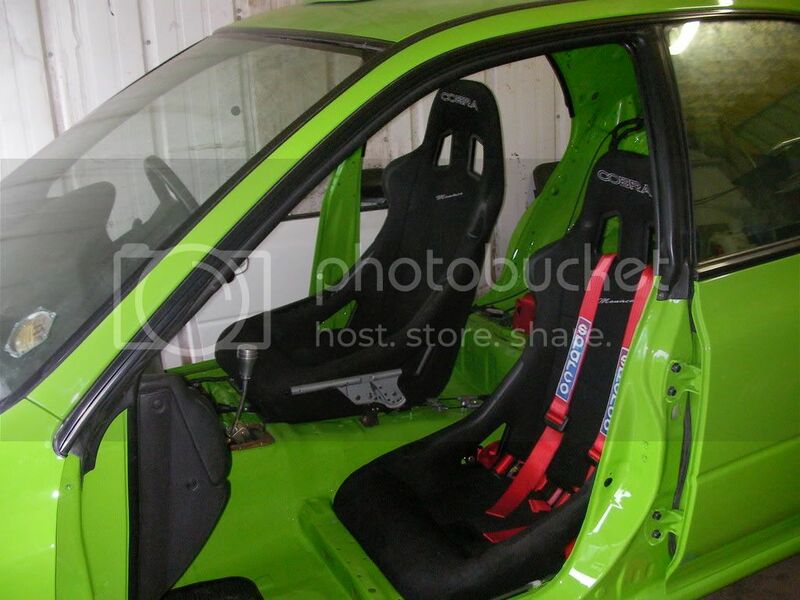 yes it would be around 450 plus a little extra for skirts and spoiler. the lot for 570 mate. Maybe just a blow over with door shuts, boot inside and all over then !!! How much and have you a contact number ??? 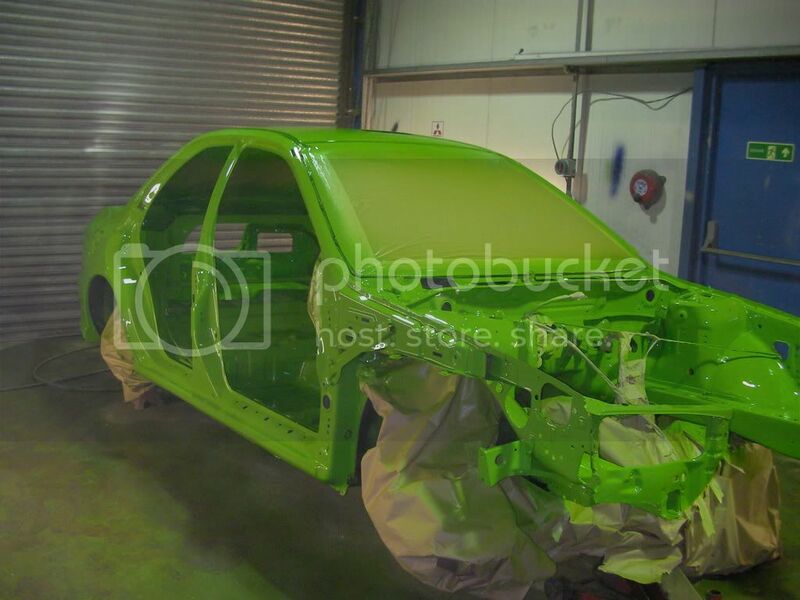 cheers bud will still take a bit to finish yet still working on getting the body panels done. will post more pics during the week. 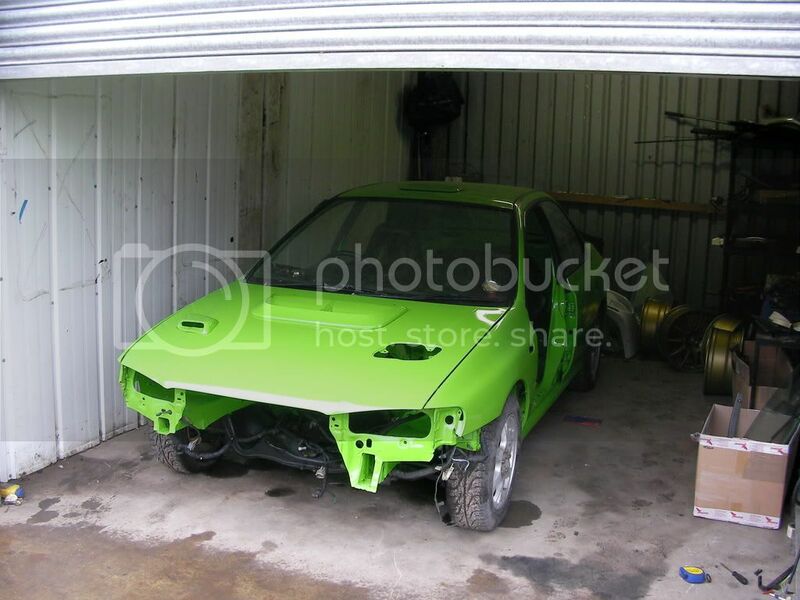 getting them ready for paint to go on a special car haha. got my reversed inlet back and started removing all the brackets i dont need. 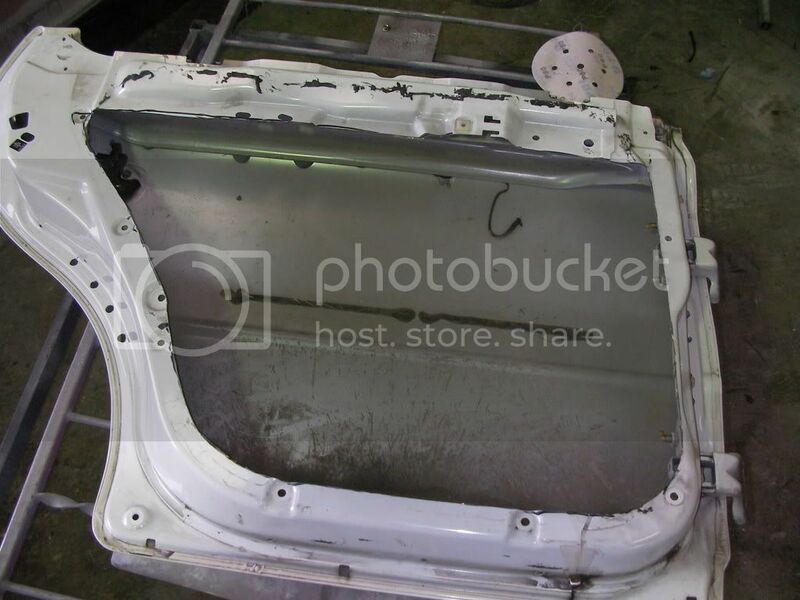 What is the car going to be used for ? Just track days or something a little bit more competitive? Good work Richy, you not putting a cage in her. Im hoping to Run in the TA next year! got the cage. painted it and fitted. 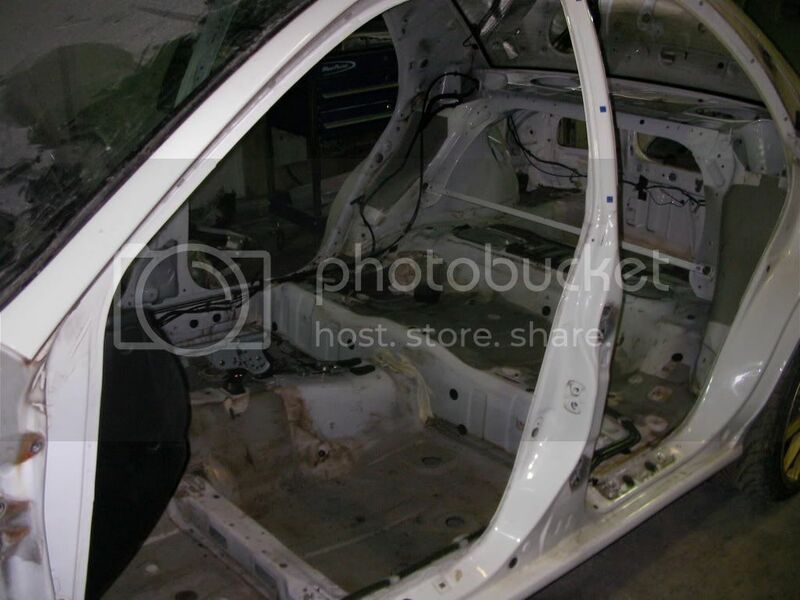 i even managed to get the seats doors fitted. thanks chap. 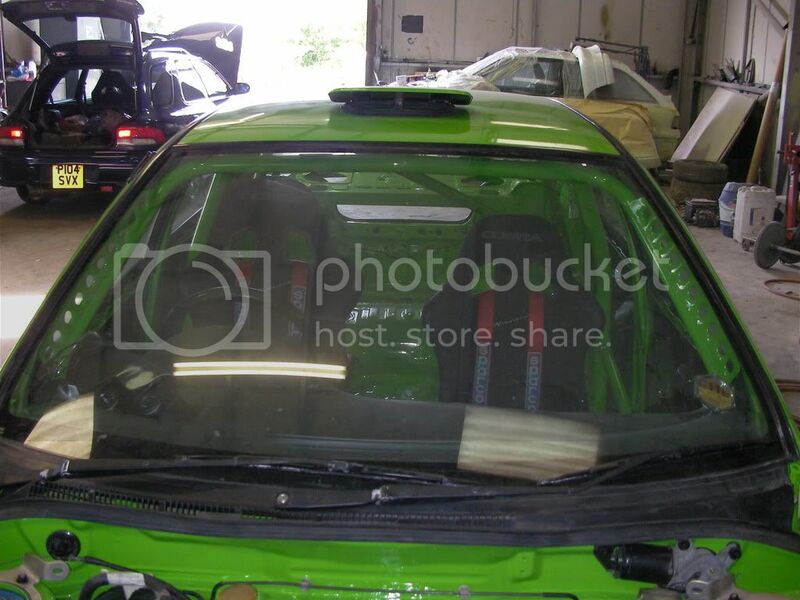 few pics of the spoiler and wheels on. 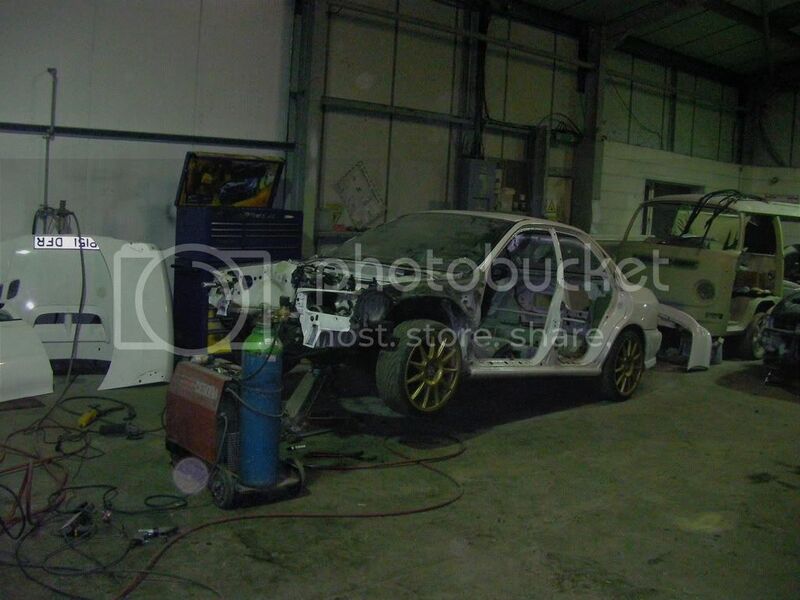 its comin on now nearly time for the mechanical bit. cant wait im holding myself back so i get all the jobs done instead of starting everything at once.